The registration of 25 spinners for the Thrum/ClothRoads – Warmis Phushkadoras Spinzilla team is complete. Thanks to Ruraq Maki who provided the transportation to Huancarani and a jewelry making workshop we were able to meet with the weavers on August 27th to talk about the contest. 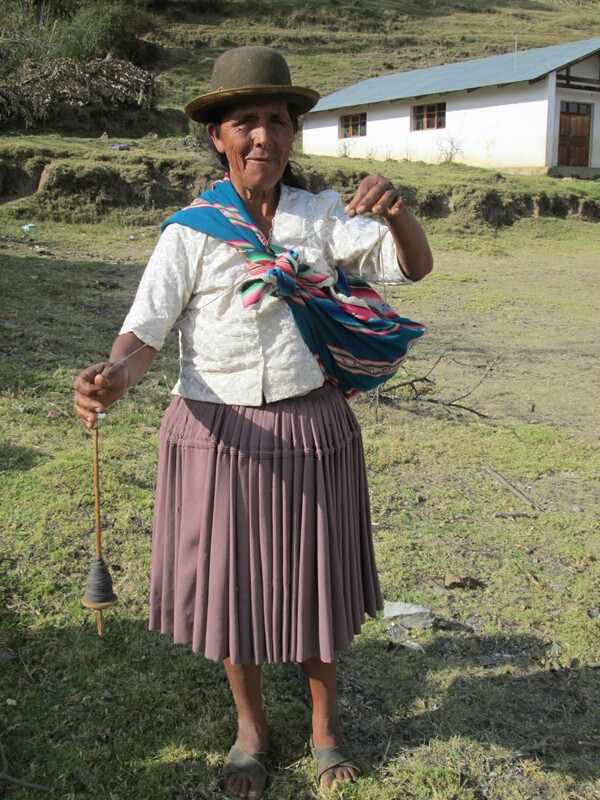 The majority of the weavers arrived with their phuskas (drop spindles) whirling as they spun or plyed while walking to the soccer field from their farms. As I mentioned before they are going to be formidable competition because they’ve spent the majority of their lives with their phuskas in hand or close by. The women currently spin 3 weights of yarn. 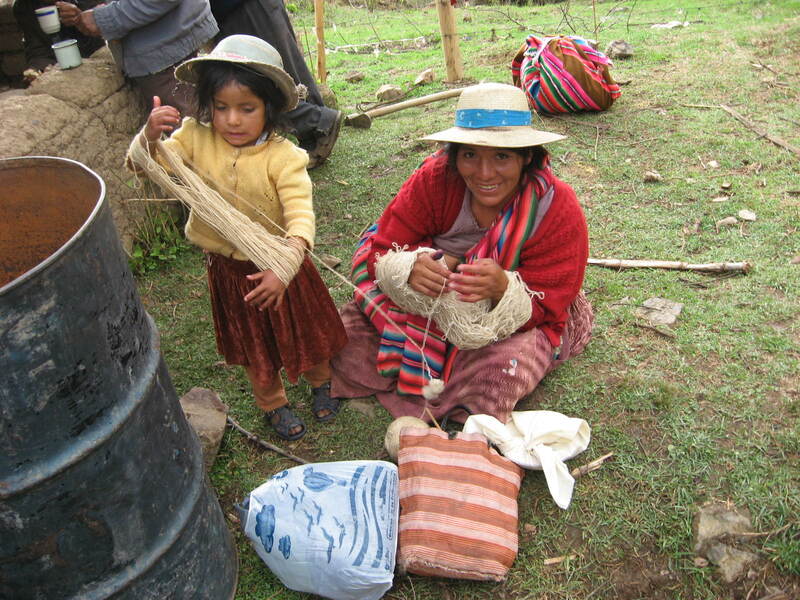 The finest yarn is used for the weavings made into ch’uspas (shoulder bags) and PAZA products. The yarn woven into tapa bancas (bench covers) is heavier. Those weavings are also used to hold padding on the horses when they can pack cargo. The heaviest density is for weaving blankets. Last year we had an elder spin yarn to weave bayeta (unpatterned cloth) on the floor loom, and it was spun finer than the chuspa weight yarn. It kept breaking, so the women lost interest in weaving it and the floor loom is once again gathering dust. Historically, bayeta was woven by men on floor looms and made into pants for men and the polleras (skirts), but it is a fading memory only seen during fiestas. 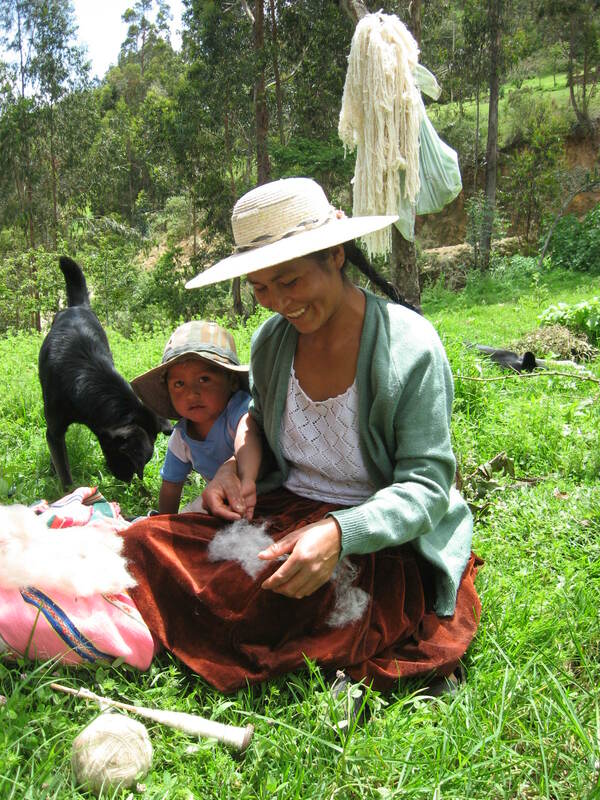 Doña Máxima remembers 3 bayeta weavers in Huancarani when she was growing up. We lacked only 3 team members when we left Huancarani. The women suggested that each participant receive a small memento of the event to avoid envy when the 1st, 2nd, and 3rd place prizes are awarded. They said that´s what´s done at the Feria de la Chirimoya, Independencia´s harvest fair, in May. Each competitor receives a machete or pitchfork and waits with bated breath for the announcement of 1st, 2nd, and 3rd, prizes. Suggestions for prizes were a metal cup or plate. 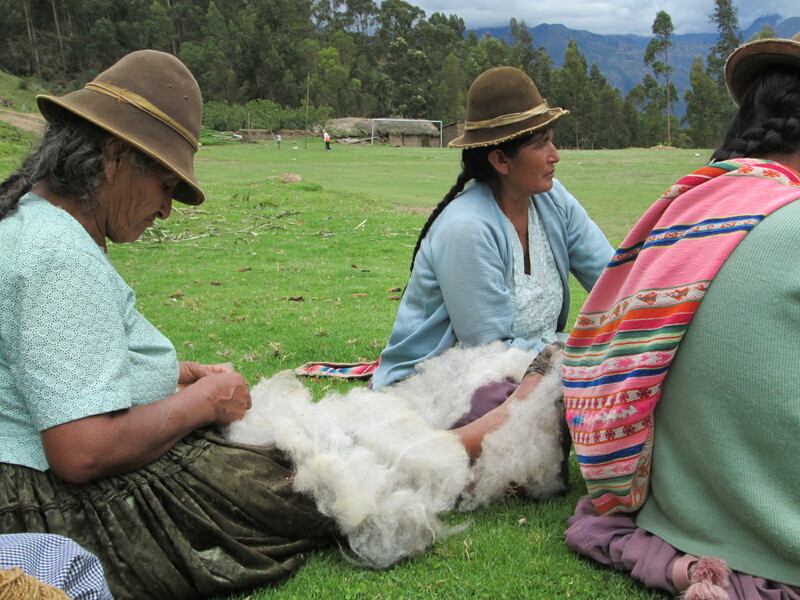 It´s difficult to think of a small prize related to their weavings since nothing is purchased. My thoughts are to have a cup stamped with the Spinzilla logo. Any suggestions? Doña Máxima reviewed the rules with the weavers including that they begin spinning with empty phuskas on Monday, October 6th. The women were shocked that there would be 1,400 spinners and couldn´t believe some of them would be men. Men don´t hand spin in this part of Andean Bolivia. The opportunity to participate in Spinzilla is opening a bigger world to them, and they´re excited to begin. The last blank on our sign-up sheet was filled on September 2nd. Nineteen of the spinners hale from the community of Huancarani, and of those 2 including the Captain, Doña Máxima Cortez, live in Independencia and are in the Club de Artesanas (CdA). 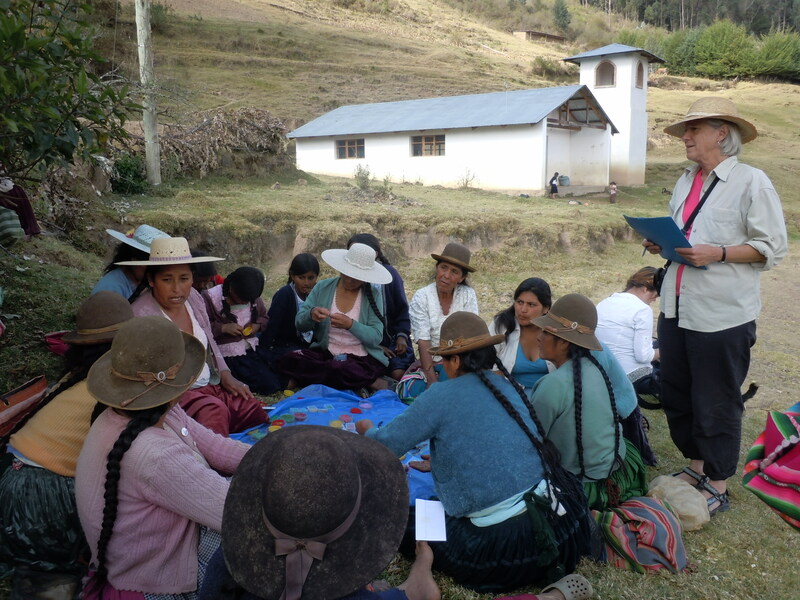 Four of the spinners are from the community of Sanipaya, including CdA member Doña Beatris Flores who splits her time between her community and Independencia. The 2 youngest CdA members don’t have time to spin but signed up eager substitutes (a mother-in-law and a grandmother) who both reside in Sanipaya. 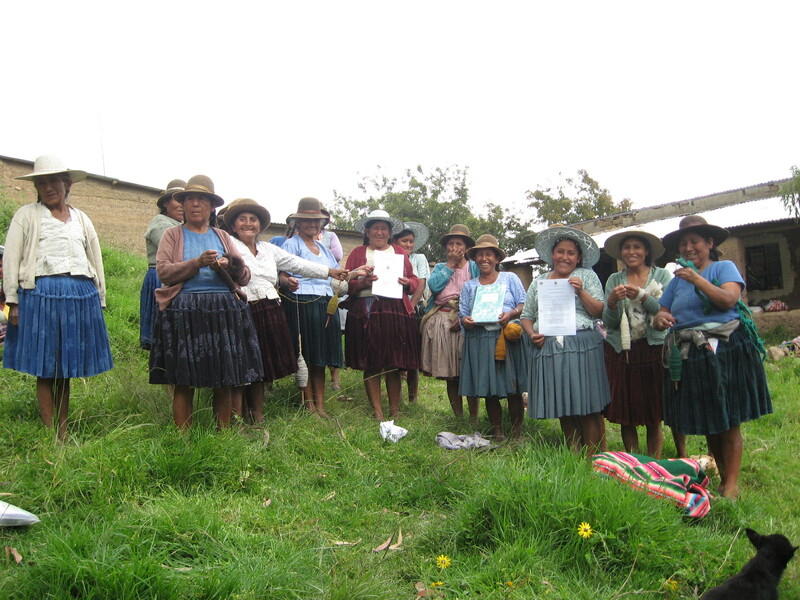 Doña Paulina Quiroz will represent the community of Chuñavi Chico and has been involved in PAZA activities since 2008. 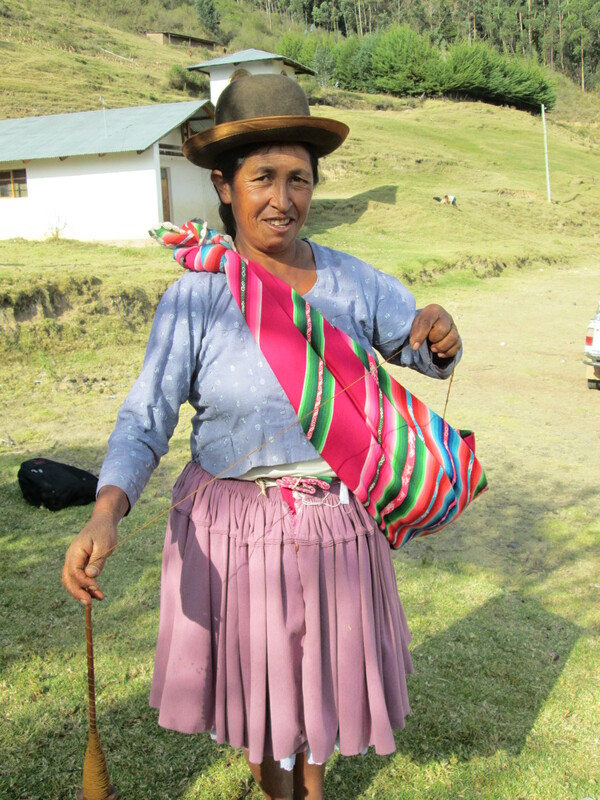 Club member Doña Martha Mamani commutes between Independencia and her farm in Lirimarca which is a 2 hour ride in the back of a cargo truck followed by a 3 hour walk (she keeps a burro where the truck drops her off to pack in the groceries). A huge thank you to the Team Warmis Phuskadoras TNNA sponsor Marilyn Murphy partner of Thrums and ClothRoads for giving the women this opportunity to compete in Spinzilla 2014. It will be interesting to see what repercussions vibrate throughout the municipality of Independencia when the word gets out that hand spinning skills are valued and honored at an international level.